A report on the coverage of search and rescue operations in the Mediterranean shows that Italian media has shifted drastically from a positive coverage of NGOs' work to suspicion this year. 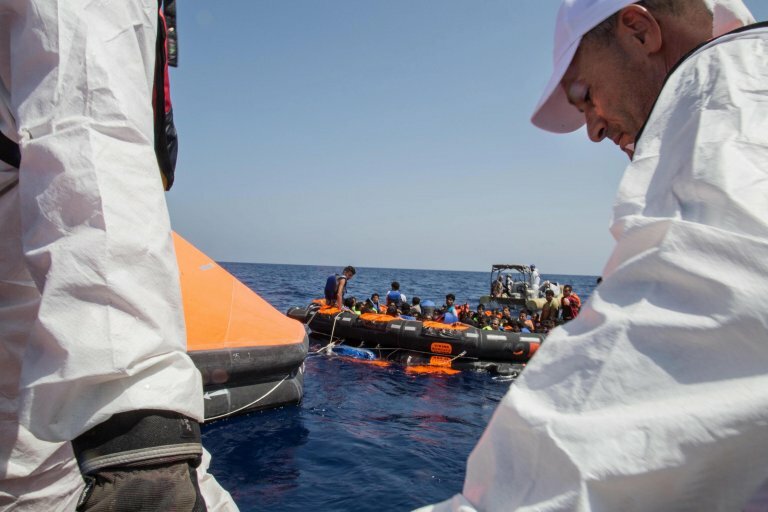 While in 2016 the dominant narrative in Italian media on search and rescue (SAR) operations in the Mediterranean was a positive one of both the operations and NGOs involved, beginning this year 'the angels of the sea have lost their wings' and their work and good will have been called into question. This is one of the findings of the report 'Navigare a Vista: il racconto delle Operazioni di Ricerca e Soccorso di Migranti nel Mediterraneo Centrale' published by COSPE (Osservatorio di Pavia and the Carta di Roma association). The report analyzed how SAR operations were covered in six Italian national dailies, seven prime time news programs, information programs and talk shows. Positive coverage in 2016 In 2016, there were 1,662 news items on the issue of migration in Italy, a 10% increase to the previous year. SAR operations were focused on in 183 articles, with special interest in shipwrecks (39%) and rescue operations (22%), which showed the events in a mostly positive light. The level was constant, with peaks seen in cases of landings and shipwrecks and the release of information on arrivals. Despite the fact that the issue of migration is divisive, the image of rescuers was positive for the entire year and the media tended to portray them as ''angels of the sea''. Starting in the first few months of 2017, the panorama changed and doubts were cast on the work conducted by NGOs. A Frontex report in February claimed that several NGOs working to rescue migrants on the central Mediterranean route were acting as a ''pull factor'' for migrant. In addition, a smear campaign by a young Italian video blogger was given publicity by some television programs, as well as the news that an investigation had been launched by Catania prosecutor Carmelo Zuccaro. The resulting polemics led to a turnaround in how the NGOs are portrayed. Francois Dumont, Director of Communications of Médecins Sans Frontières (MSF) said during the presentation of the report in Rome that ''we are faced with three attempts: to delegitimize the NGOs' work, to de-humanize the people we save at sea and to outsource borders in agreements like the [recent] one with Libya.'' The NGOs have become ''the last barrier of humanity, the last witnesses. We call on journalists not to give in to easy slogans'', he said.